Match ends, Rotherham United 1, Chesterfield 2. Second Half ends, Rotherham United 1, Chesterfield 2. Foul by Jordan Sinnott (Chesterfield). Goal! 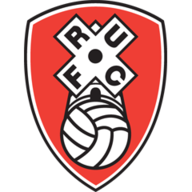 Rotherham United 1, Chesterfield 2. Jak McCourt (Chesterfield) header from very close range to the bottom right corner. Assisted by Jordan Flores. Attempt missed. Joshua Emmanuel (Rotherham United) right footed shot from outside the box misses to the right. Jordan Sinnott (Chesterfield) wins a free kick on the right wing. Attempt missed. Kristian Dennis (Chesterfield) left footed shot from outside the box is too high. Corner, Rotherham United. Conceded by Jak McCourt. Foul by Andy Kellett (Chesterfield). Attempt missed. David Ball (Rotherham United) right footed shot from the centre of the box is close, but misses to the right. Corner, Rotherham United. Conceded by Ian Evatt. Corner, Rotherham United. Conceded by Robbie Weir. Corner, Rotherham United. Conceded by Scott Wiseman. Goal! Rotherham United 1, Chesterfield 1. Will Vaulks (Rotherham United) right footed shot from the centre of the box to the centre of the goal. Assisted by Joe Newell. Substitution, Chesterfield. Kristian Dennis replaces Diego De Girolamo. Attempt missed. Diego De Girolamo (Chesterfield) right footed shot from outside the box is close, but misses to the right. Anthony Forde (Rotherham United) wins a free kick on the left wing. Foul by Jak McCourt (Chesterfield). Robbie Weir (Chesterfield) wins a free kick in the attacking half. Bradley Barry (Chesterfield) wins a free kick in the attacking half. Corner, Rotherham United. Conceded by Andy Kellett. Substitution, Rotherham United. David Ball replaces Jonson Clarke-Harris. Substitution, Rotherham United. Joe Newell replaces Alex Bray. Andy Kellett (Chesterfield) wins a free kick on the right wing. Akeem Hinds (Rotherham United) wins a free kick in the attacking half. Attempt saved. Jonson Clarke-Harris (Rotherham United) right footed shot from the centre of the box is saved in the centre of the goal. Joshua Emmanuel (Rotherham United) wins a free kick on the left wing. Substitution, Chesterfield. Jordan Sinnott replaces Joe Rowley. Attempt missed. Jonson Clarke-Harris (Rotherham United) header from the centre of the box is just a bit too high. Attempt missed. Ben Wiles (Rotherham United) left footed shot from outside the box is close, but misses to the left. Foul by Alex Bray (Rotherham United). Andy Kellett (Chesterfield) wins a free kick in the attacking half. Foul by Diego De Girolamo (Chesterfield). Attempt missed. Jak McCourt (Chesterfield) right footed shot from outside the box is just a bit too high. Substitution, Rotherham United. Ben Wiles replaces Richard Towell. Second Half begins Rotherham United 0, Chesterfield 1. First Half ends, Rotherham United 0, Chesterfield 1. Alex Bray (Rotherham United) wins a free kick on the right wing. Foul by Manny Onariase (Rotherham United). Diego De Girolamo (Chesterfield) wins a free kick in the attacking half. Attempt blocked. Jonson Clarke-Harris (Rotherham United) right footed shot from outside the box is blocked. Foul by Robbie Weir (Chesterfield). Attempt missed. Jonson Clarke-Harris (Rotherham United) header from the centre of the box misses to the right following a corner. Attempt saved. 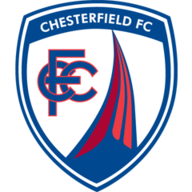 Chris O'Grady (Chesterfield) right footed shot from outside the box is saved in the centre of the goal. Foul by Joshua Emmanuel (Rotherham United). Robbie Weir (Chesterfield) wins a free kick on the right wing. Corner, Rotherham United. Conceded by Chris O'Grady. Foul by Scott Wiseman (Chesterfield). Jonson Clarke-Harris (Rotherham United) wins a free kick in the defensive half. Goal! Rotherham United 0, Chesterfield 1. Diego De Girolamo (Chesterfield) right footed shot from the centre of the box to the top left corner. Attempt missed. Richard Towell (Rotherham United) right footed shot from outside the box is close, but misses to the right.